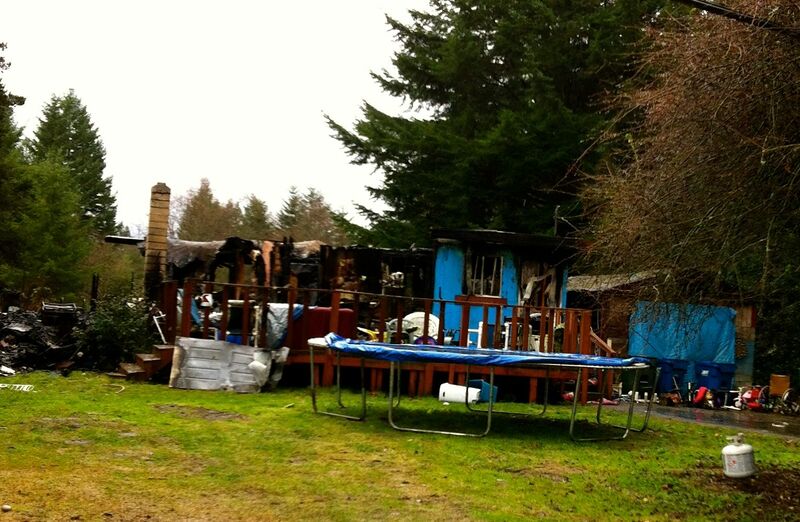 An overnight fire engulfed and destroyed a home in the 13600 block of 432nd in North Bend Friday, January 25th. According a Battalion Chief, Eastside Fire and Rescue received a call reporting the fire around 9:15PM. A volunteer firefighter living two doors away from the fire noticed it and went to the home. The homeowner told him of a disabled person in a bed back room and the firefighter was able to get that person out of the burning home. Two people were in the home (near Opstad Elementary School) at the time of the fire. Both had minor injuries and suffered smoke inhalation. They were transported to local hospitals. Komo News was on the scene and reported that Eastside Fire and Rescue Battalion Chief described the fire as difficult to fight, quickly turning into a defensive fire. The small home was completely destroyed. North Bend neighbors reported 432nd was blocked by emergency crews for hours last night, as well as aid cars being on the scene for approximately three hours. There was no word yet on what started the fire. We got home around 10:00 a.m. and there was a lot of smoke…thought it was just a bonfire. How sad!